Each year the Golf Industry Show brings together thousands of golf industry professionals from around the globe for a week of education, seminars, and exhibitions. 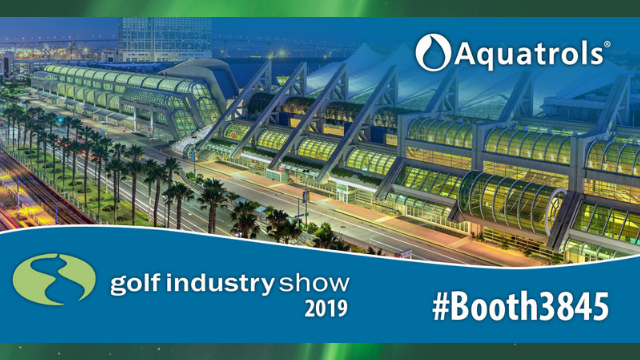 This year the Golf Industry Show (GIS) will be held in sunny San Diego, California and runs from February 2-7, 2019. We will be showcasing all of our latest products at the show as well as hosting a medley of different activities at our booth. 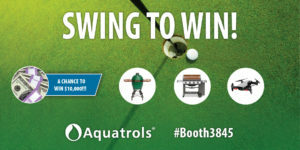 Aquatrols representatives will be present to answer questions and chat with customers from around the world. 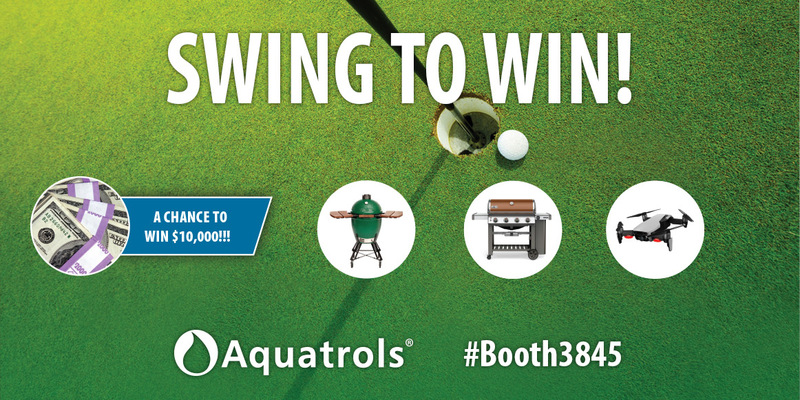 Attendees that stop by our booth will get the opportunity to participate in a daily golf simulation contest from February 6-7, which will feature prizes such as a Weber grill, DJI drone, and a Green Egg Grill. The daily top scorer will also get the chance to swing for a hole in one to win $10,000! Our annual booth happy hour will take place from 2:00PM to 5:00PM on Wednesday, February 6. There will be music, freebies, light snacks, and (of course) drinks on us! During Wednesday’s happy hour we will also be co-hosting the 8th annual GCITweetUp from 3:00PM to 4:00PM. At this event, we will feature an announcement recognizing the winners of the 2019 Super Social Media awards, as well as this year’s Conservation award winner. 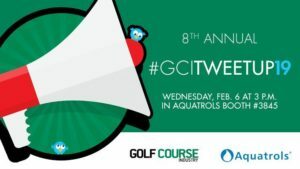 If you can’t make it to the event you can still join in on the conversation online using the hashtag #GCITweetUp19. Click here to see the past list of winners and to learn more about the awards. All of this is happening and more at booth 3845 – We hope to see you there!